Year-round, Ryan asks me to make these ginger cookies. They're one of the very first recipes I posted on this blog, which explains the pitiful photo, but to this day they remain one of Ryan's favorites. As much as he loves me trying new recipes all the time, he'd be perfectly content if I only made the aforementioned ginger cookies and these pumpkin chocolate chip cookies. December is a natural time to break out the molasses, so I had every intention of making the ginger cookies when I saw a tweet from Jamie about her molasses crinkles. Jamie is my sister-in-law's sister-in-law. Did you catch that? From what I know of her, Jamie is talented and beautiful...and now I can say she's a really good judge of cookies! 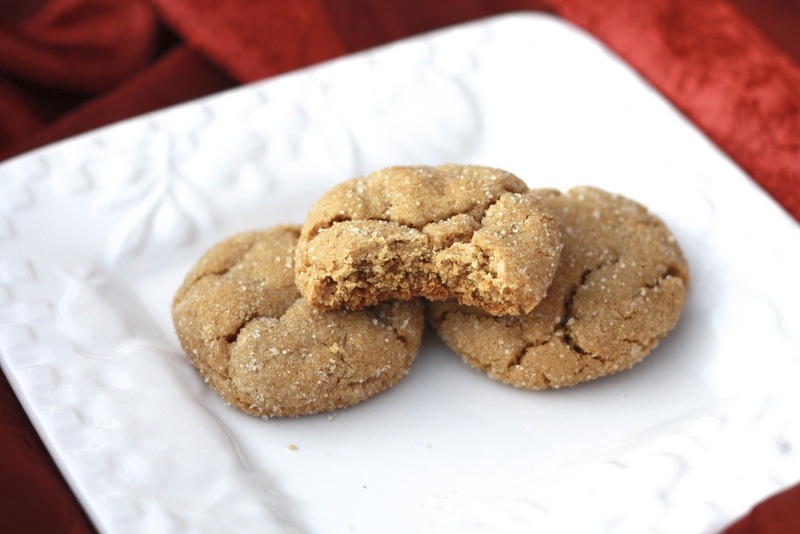 When I compared this recipe to our ever-favorite ginger cookies, I noticed they were quite similar...just a few slight differences in the quantities of a few ingredients (and her batch makes a much more reasonable number of cookies--4 dozen vs. 8 or 9 dozen!). Much like our favorites, these have a slightly tough exterior that gives way to a creamy middle that melts in your mouth. We really like ginger cookies! 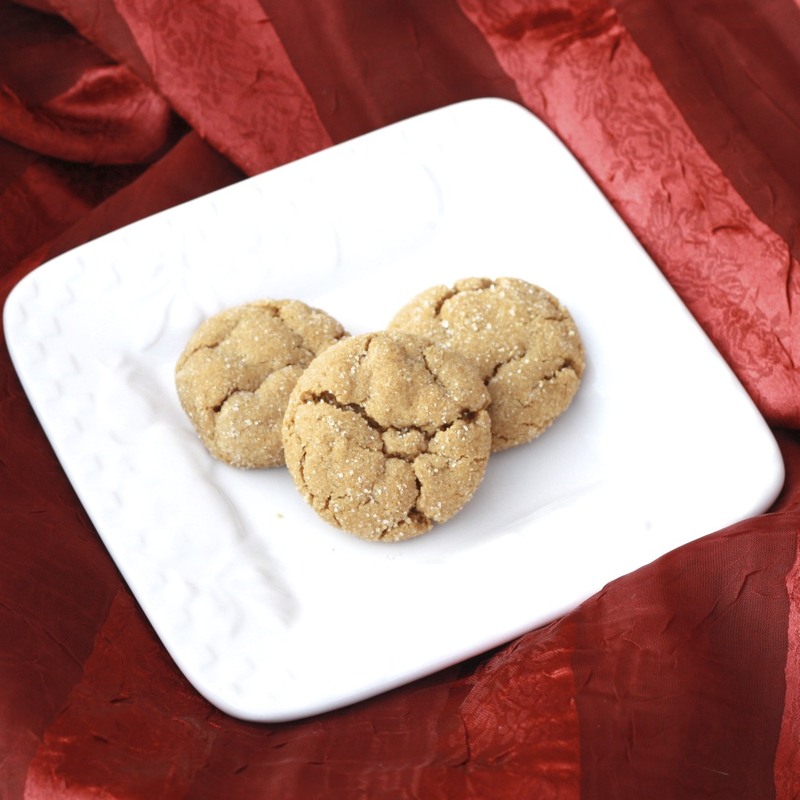 Besides the original, I also recommend these flat and chewy gingersnaps, or these with white chocolate! 1. Preheat oven to 350F. In a mixing bowl, cream shortening and sugar. Add molasses and egg, beating until combined. 2. In a separate bowl, combine the remaining ingredients (flour through salt). Slowly add to wet ingredients, mixing just until combined. 3. Grease or line baking sheets with parchment paper. Form 1-inch balls of dough and roll in granulated sugar. Place two inches apart on prepared baking sheets and bake 7-9 minutes, just until cookies begin to crinkle. Remove from oven and allow to cool for 2 minutes before transferring to cooling racks.